Southborough Youth Soccer Association (SYSA) has adopted the BAYS Zero Tolerance Policy (see below) for all SYSA age groups and teams. Coaches, players, parents and all members of the Southborough Youth Soccer community are expected to uphold this policy and respect the referee regardless of their age or experience. 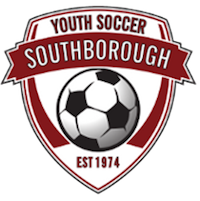 Zero Tolerance violations will be taken very seriously by SYSA and BAYS and will result in warnings, suspensions, or removal from Southborough Youth Soccer whenever deemed warranted by the SYSA Board of Directors. A Zero Tolerance subcommittee will review all incident reports and make disciplinary recommendations to the full Board. Many referees are young and just starting their careers as soccer referees. Please be respectful and support the referees, and report any Zero Tolerance violations to the SYSA Board. If coaches or spectators have questions regarding particular calls, rules, or a referee, or wish to give feedback regarding a referee, please contact the town soccer club’s referee coordinator for the game in question, or contact the BAYS Referees Representative at http://www.bays.org. All reports of Zero Tolerance violations will be forwarded to the ZT Subcommittee of the Board. The Subcommittee will be comprised of three members: (1) SYSA Vice President, (2) SYSA Director of Coaching; and (3) SYSA Director of Referees. In the event any of the members is unable to serve on the subcommittee, the open slot may be filled by another Board Member as appointed by the SYSA President. The purpose of the subcommittee is to review reports of ZT violations and assess whether disciplinary action is appropriate. The Committee will consider, among other factors, (a) the severity of the incident; (b) whether the incident is a repeat offense, and (3) any sanctions/actions that may have been taken by BAYS independent of the SYSA Board Actions. In general, the disciplinary action will follow a “card” system. The ZT Subcommittee will have the option of recommending additional discipline based upon the nature of the infraction (i.e., physical contact with a referee). Yellow Card: A first offense will be assessed a Yellow Card. A Yellow card is a written warning to the offending party from ZT Subcommittee that a report or complaint of a ZT violation has been issued, and that future violations will result in additional action. Red Card: A second offense will be assessed a Red Card. A Red Card will lead to an automatic suspension for one game. In the case of a coach violation, this suspension will apply to all teams that the coach may be responsible for. During a suspension week, a suspended coach will be allowed to attend that team’s game as a spectator only. If a spectator is assessed a red card, they will not be able to attend that team’s game in any capacity. The suspension will be served for the game immediately following the ZT subcommittee assessment unless an appeal is filed (see below Appeal Process). If the appeal finding supports the original Red Card assessment, the suspension will be served in the game following that appeal finding. If no games are remaining in the season when the assessment is made, the game suspension will carry over to the following season in which that coach or spectator is a member of the SYSA program. Any coach earning two Red Cards will be removed from the program as a coach for all age groups indefinitely, subject to appeal/reinstatement as noted below. Any spectator receiving two red cards will be removed from the sideline of all SYSA games indefinitely. If a coach or spectator does not abide by the suspension, his/her child will be removed from the program. No refunds of fees will be offered. Coaches or spectators who receive a Yellow Card are not entitled to an appeal. A coach or Spectator who receives a Red Card may request a meeting with the ZT Subcommittee to explain any extenuating circumstances. The ZT Subcommittee will strive to meet with the individual(s) within 7 days following notification of the Red Card at a mutually agreeable time and location. Appeals may also be heard be teleconference. Within 3 days of hearing the Appeal, the ZT Subcommittee will make a recommendation to the SYSA Board to (a) enforce the sanction per the initial recommendation; or (b) modify the sanction. Once the SYSA Board had adopted the recommendation, the individual will be notified of the Board’s decision by the Chair of the ZT Subcommittee. An individual who has received multiple Red Cards and has been suspended indefinitely can apply for reinstatement after the equivalent of a full season has elapsed (i.e., 10 games). The individual should be prepared to explain how his/her behavior has changed and what steps he/she has taken to avoid future incidents. In the event a suspended individual is reinstated, any future violation of the Zero Tolerance Policy will result in permanent removal from the program (if a coach) and a sideline ban. Failure to adhere to the sanctions will result in removal of his/her child from the program.